SLS: Terms of Service vs Free Speech, Why is Radio Struggling to Podcast? 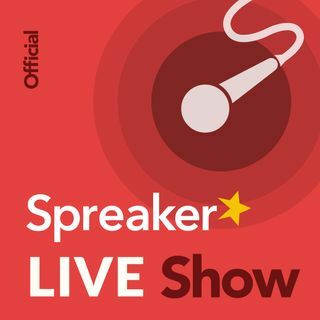 - How does Spreaker’s Terms of Service vs Free Speech impact YOU (podcaster)? - Is Radio ... See More Struggling with Podcasting? - What Are Podcasting’s Hot Topics? -How does Spreaker’s Terms of Service impact YOU (podcaster)? Spreaker TOS - https://www.spreaker.com/terms This document is a legal agreement between you, the User, and the entity providing Spreaker. It governs your use of the online properties and, in any case, for the use of the services provided. “Legal agreement” means that the terms of this agreement are binding on the relationship between you and us once you have accepted the terms. -In order to use Spreaker, you must read this Agreement carefully and agree to accept the same by clicking the button for its acceptance. If you don’t accept this Agreement you cannot use the Service. promote activity that may endanger your life or the life of any other User or lead to physical harm. This includes, but is not limited to: suicide threats, intentional physical trauma, use of illegal drugs, or drinking excessively. How will commercial radio power through, and, more significantly, what is hindering the progress of commercial radio in podcasting? Answer - model after public radio!!! Podcasts are not the same as broadcasts. There is a widespread but false assumption that broadcast audio migrates easily to downloaded audio. Our experience is that each media platform is different. What works on TV is different from what works on YouTube, yet they are both video experiences. In a similar way, podcasts are different from terrestrial radio. We’re finding a similar pattern in our work with smart speakers. Different types of content connect and resonate on smart speakers. Who’s going to make all this stuff? Looking down the hallways at the average radio station, you’ll see there aren’t a lot of extra bodies. Everyone is doing three jobs. Who will focus on podcasting in each station, and do they understand the medium? DJ’s aren’t trained for this. Most air personalities are great at what they’ve been trained to do, connecting with an audience in brief snippets, but does that mean they are qualified to do a 30-minute podcast on health or motherhood? Many stations assume they can take their talent and easily build original podcast content around them. So far, the results are sketchy. Podcasts can be hard to monetize. Building worthwhile podcasts and teaching the audience how to find and listen to them is a process that can be antithetical to the “We’ve got to make the June budget” environment. R&D plays a big role. Fear of cannibalization. Most radio programmers are working harder than ever to levitate Persons Using Radio levels and TSL against the numerous outside forces and choices ranging from Spotify to owned music and podcasts. Many view podcasts as accelerating radio’s decline. Innovation is critical today as brands learn to meet customers where they are. Starbucks built a ready-to-drink business of in-grocery-store sales. It has taken them 10 years, but today it accounts for 12 percent of their business. If you build it, they will likely come — but it may not be by Tuesday. One of radio’s great assets is its powerful megaphone to drive traffic, but ahead of that is the development of quality content that people will seek out and download. The bar is higher than just punching around the radio dial. But is is the same target audience listening to podcasts is the question? What works in every content-first setting is the development of difficult-to-duplicate, compelling programming. That’s the place for commercial radio to start on its podcast quest. IAB v.2 Metrics Standards Certification? How to GROW OVERALL Listenership? Impacts of Spotify, Google Podcasts, possibly Pandora? No one should be getting band. Everybody is entitled to their own opinion. Anybody who has their big boy pants on isn't going to be so offended of somebody else's show to be a baby about it. Alex, I respectfully disagree. Google is not a private company. It is openly traded on wall street. You can own a share. Dave... I'm going to send it this week! I prefer you on Spreaker so if I miss you, I can hear it later and interact on chat. Tamara... still looking for that book for me? (He says with dread) . Hi all. Tamara , Linda. Rob, Alex And all. I share manually, but Facebook denied me access to Facebook altogether, so I could not moderate my groups. Linda, That was a change that Facebook made and we had to adjust to it. No wide spread effort is being made to take down podcasts. Yes, notification and 48 hour notice is given. Does Spreaker notify people when and why an episode is taken down? My opinion about content I do not like or agree with, just pass it by. Facebook never gave me a reason either. In this case it was the media attention and public relations issue it caused. Other shows haven't been banned because they aren't getting attention. Thanks for joining us, Dave! Yayeee ya made it. I’ll be listening in and out on the side from work. I hope you might discuss this Skype update. Is there an issue? They took me off of Facebook for a while yesterday for a paranormal group that discusses E.T. and communicating with spirit.